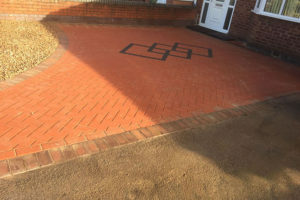 A fantastic new cobble driveway to a large beautiful detached house in Coventry. 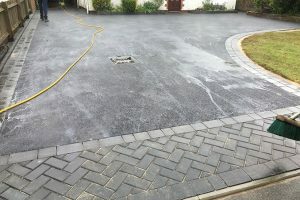 Featuring grey cobblestone pavers in stretcher bond layout (design), we have a driveway that is very much in keeping with the character of the property but now provides that real kerb appeal. 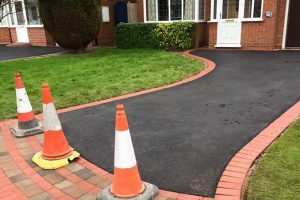 The previous driveway featured an old tarmac and gravel driveway that accommodated fewer vehicles. 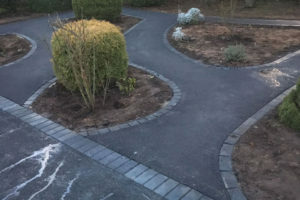 Cobblestone is perfect when it comes to maintaining the look and feel of character properties. 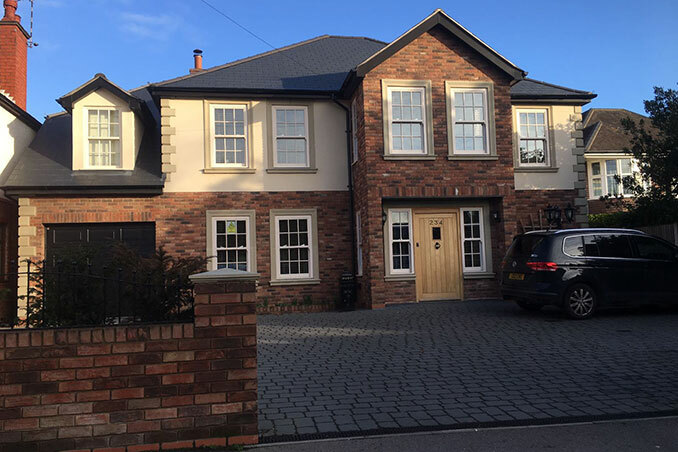 In this example, whilst we may have a relatively new property, it’s design with sash windows, large entrance and dormer windows, give the property significant character. 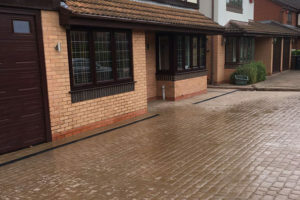 The best driveway design for this property was always going to be cobblestone. 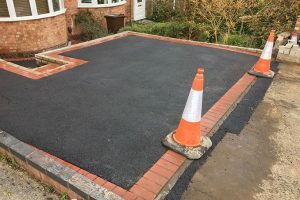 Tarmac or traditional block paving would have looked out of place with this house. 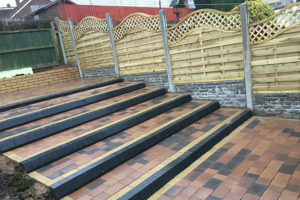 This project took around 7 days to complete. 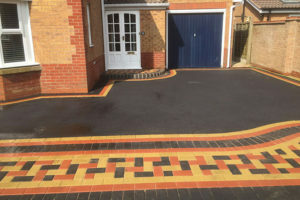 You can find more examples of cobblestone driveways here. 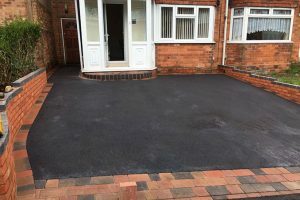 If you’d like us to dramatically improve your driveway, then please contact us for a quotation.